This morning we shipped something we’ve been working on for months. Maxime and I contained our excitement while we worked on it in conjunction with keeping up with other smaller features we’ve released–so you wouldn’t be bored. This release is mainly about podcast creation and publishing, which required a lot of new code and reworking of how we handled RSS feeds. We also snuck in a very useful feature, which some of you from time to time have asked: feed merging (more on that in a bit). Primarily we’ll be dealing with the first step, which is completely new to FeedPress. Since the inception of FeedPress back in 2012, we initially had built it as a replacement for the aging FeedBurner. With FeedBurner, it became an analytics service that sat between your website and RSS readers. In order to know how many people subscribed to your feed, you needed to ensure people subscribed to the FeedBurner version of the feed. With FeedPress, we too did something similar, albeit with much more flexibility and customization. 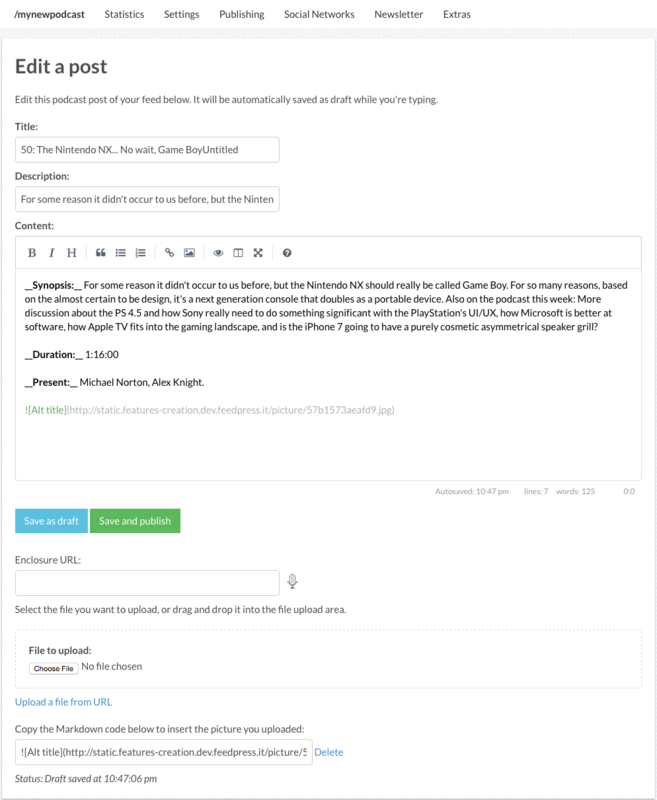 By default, we provided a hosted feedpress.me URL which your readers could subscribe to, however, you could also use your own domain name via our Custom Hostname feature so that you could protect your intellectual branding. 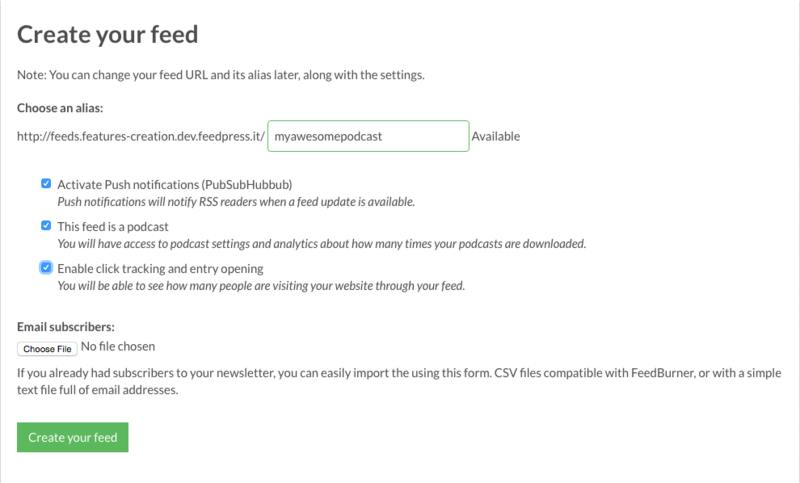 With respect to podcasting, before today, in your to use FeedPress you needed to add an RSS feed you already own–likely from your own CMS such as WordPress. FeedPress would fetch the contents of your feed and in real-time, update with any new posts found. Today, not every podcaster wants or even needs a website. Setting up a CMS is yet another obstacle in the process of getting your podcast out into the world. We have removed a big hurdle for a lot of podcasters that were wanting to use FeedPress. You now have your own mini CMS available to you so you can create posts, upload episodes, and manage posts. Our podcast editor supports Markdown by default for formatting and includes a very useful full-screen mode with preview mode. To begin, on your feed dashboard, click Create Feed to give your podcast feed a name. Check the option that this feed is a podcast (obviously). Optionally, you can also enable click tracking for links as well as import any email subscribers (if you want a newsletter). Now that you’ve successfully created your feed, go to the new Publishing menu and select Your Posts. Click Create Post to create your first podcast post. You can enter your title, a longer description of what the episode is about, and then the full episode show notes, including an image. If you’re unfamiliar with Markdown syntax, there’s a cheatsheet available. In the toolbar, click the help icon (it’s a question mark). Note that we also display important details such as line and word count, as well as when your post was last auto saved–that’s right, no worrying about losing stuff if you don’t click a save button. In the enclosure URL area, you can upload a file if you haven’t already done so. Uploading a file is as easy as drag and dropping an MP3 onto the file upload area. If you already have a file available in your podcast storage, you can click the microphone button to select the file you want to attach to the post. Inserting images are easy as well. There’s a shortcut to do it right from the Markdown toolbar, or you can drag and drop an image in the file upload area at the bottom. 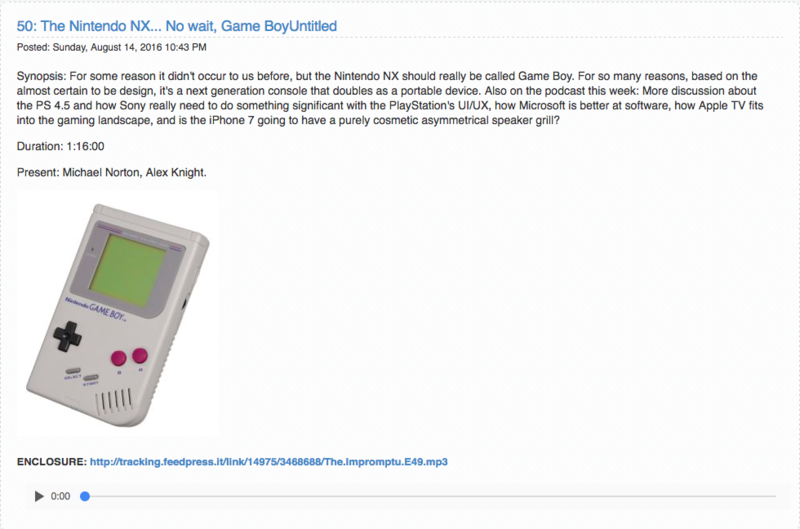 Note that we auto insert the appropriate Markdown syntax for you in the body of the post. You can enter full-screen mode to write distraction free. In preview mode, you can see how your Markdown formatted post will render in a browser on the right-hand side pane. Super handy for seeing embedded images and links. Once you’ve proof read your post and are satisfied, you can publish it. As illustrated below, a confirmation message appears that your podcast was successfully published. After publishing an episode, you can view your RSS feed in a browser and see the newest episode is live. The podcast file storage area has existed since March 2015, however, we made some updates to it that warrant mentioning in this blog post. When clicking on the gear icon, there are new options available as they pertain to podcast publishing–namely Create Post. This allows you to create a new post with the current media file attached to it. A popular feature our customers asked for was the ability to take two or more feeds and merge them together. This has been popular for podcasters who want to create a master feed for all of their podcasts. A merged feed includes all of the posts from each feed and respects the original titles, but also appends the name of the feed the post comes from. 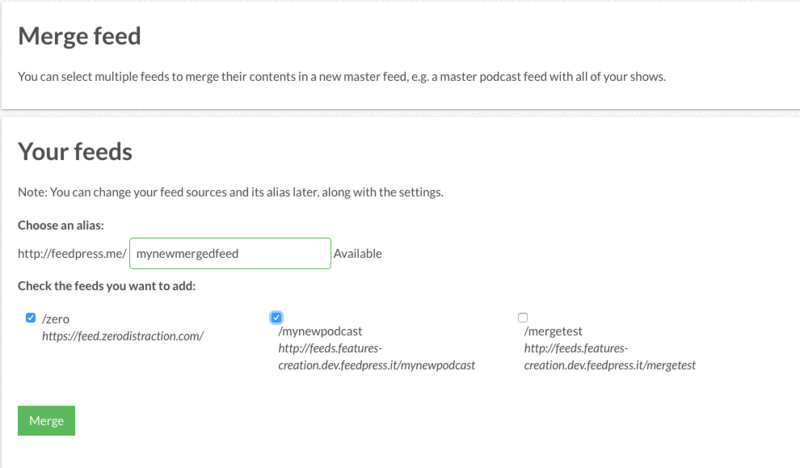 Feed merging is available to both bloggers and podcasters. On your feed dashboard, click Merge A Feed to begin. Create a new name for your feed and then select the feeds you wish to include and click Merge to finish up. That’s all there is to it. Moving your podcast to FeedPress? We are really happy with how podcast publishing turned out, but we’re not stopping here. We are already planning some additional enhancements that will roll out in the coming weeks/months. 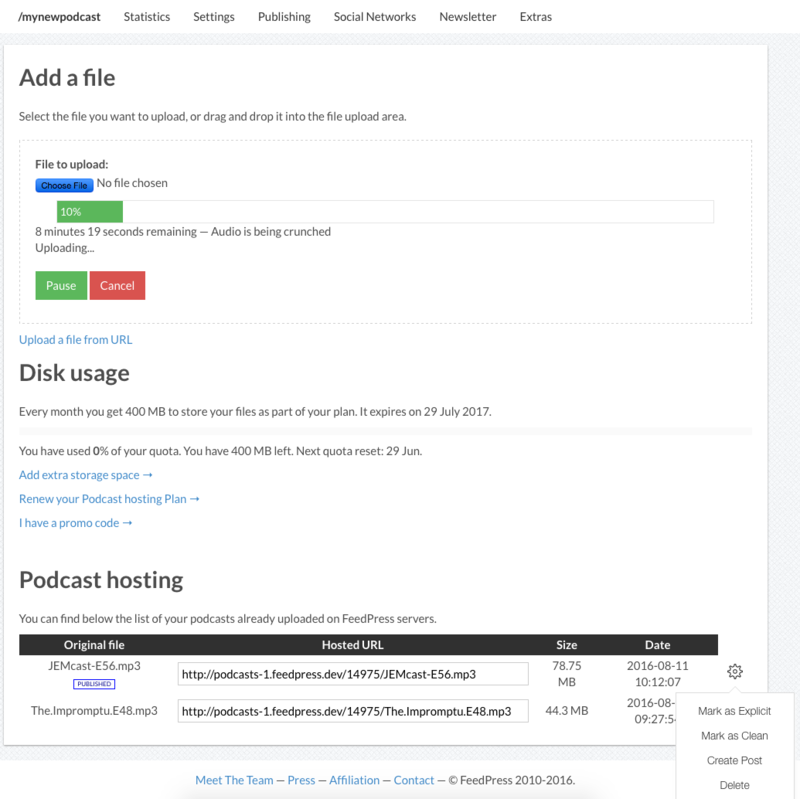 Podcast hosting is $8/month with 400 MB of new monthly storage that rolls over monthly. 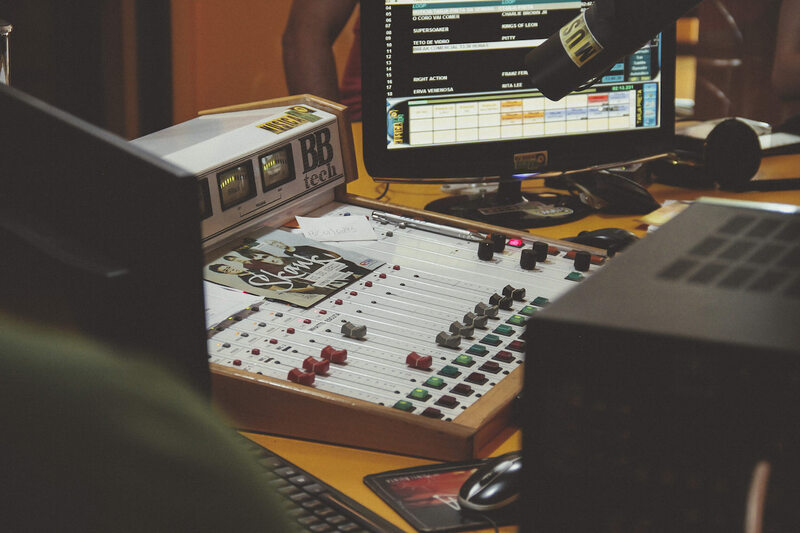 The storage we provide is more than enough for 4 episodes per month of high bitrate podcasts at 192 Kbps. We recently increased free storage and now provide more than our competitors do at a more affordable price. You can add hosting to any existing RSS feed you have. A FeedPress account is just $4/month. Additional storage is available in increments up to 5 GB and at competitive flat rates. Only add more storage if and when you need to, without worrying about how many hours you can utilize before having to pay again. If you’re thinking of moving away from your existing podcast host, please get in touch with us. FeedPress offers free migration service and we’ll take care of the hard work of transitioning your media files and feed over so that your podcast continues to work without a hitch. To celebrate the launch of podcast publishing, use promo code PodcastProducer on checkout to get 10% off your first year. Start your 14-day trial today and get podcasting!